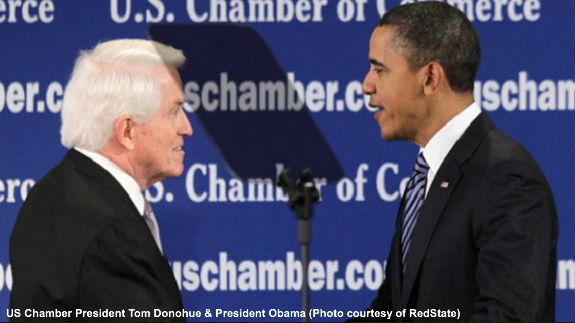 U.S. Chamber of Commerce President Tom Donohue, Facebook CEO Mark Zuckerberg and various top-level executives at tech companies, such as Microsoft, have been among the most vocal proponents of increasing legal guest worker immigration and granting amnesty to millions of illegal aliens. Their stated reason was that they needed more highly trained tech workers for Silicon Valley. So if there’s a tech labor shortage in America, that requires bringing in more foreign labor, why is it that Microsoft has just announced the largest layoff in the company’s history? On July 17, Microsoft announced that it will eliminate up to 18,000 jobs over the next year; about 12,500 professional and factory jobs will be cut. Microsoft did not detail exactly where the remaining jobs would be cut, but according to the UK’s Daily Mail, the company said the first wave of layoffs would affect 1,351 jobs in the Seattle area. Why are the establishment “leaders” of the House GOP apparently abandoning the interests of We the People in favor of Big Business? It’s simple: That’s where the money is. The drive for an amnesty bill is being supported by numerous billionaires, and Big Business CEOs, including New York Mayor Mike Bloomberg, Fox News’ Rupert Murdoch and Facebook’s Mark Zuckerberg. The goal of all this Big business spending and influence peddling is also simple: Hold American wages down to increase shareholder value. Current law already allows 1 million legal immigrants and 700,000 guest workers to enter the country each year. As Munro noted, the Senate bill would expand legal immigration and open America’s borders to some 30 million additional legal immigrants, plus millions of temporary guest workers, over the next decade. “That influx would import roughly one immigrant or guest-worker for every American aged 11 to 21, or one immigrant for every American teenager in 2012,” says Munro. If you are the parent or grandparent of a child who will be entering the workforce in the next decade you owe to your children and grandchildren to stand with Senator Jeff Sessions and oppose the self-interested demands of Big Business for an opening of America’s borders and amnesty for illegal aliens. To fight back against the Big Business push for amnesty and open borders it is vital that you sign our “no amnesty” petition, and watch the videos in our “Short Course” on immigration and amnesty TODAY to arm yourself intellectually to win the "no amnesty" debate. Go here to find out how you can participate in the national protests against immigration amnesty.